As I mention below, I've decided to start my reading with Aristotle and St. Thomas Aquinas, and the reason why is very important to how I think about the book and pop-culture itself. So important that I think I’m going to have to say more about it in the Preface (but maybe it can go in the Introduction). Also, look at him. Aristotle's so handsome. “In an effort to understand nature, society, and man, Aristotle began where everyone should begin with what he already knew in the light of his ordinary, commonplace experience. Beginning there, his thinking used notions that all of us possess, not because we were taught them in school, but because they are the common stock of human thought about anything and everything. Adler, Mortimer J. (1997-06-01). Aristotle for Everybody . Touchstone. Kindle Edition. This common sense is shared by everyone, and it’s the tool that Aristotle uses to get where he goes (which is pretty far, high, and deep). 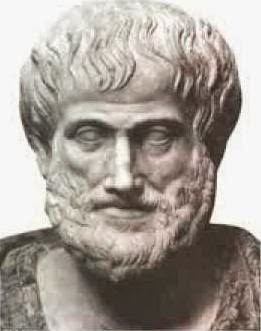 And, Aristotle is one of Thomas Aquinas’s big philosophical references. St. Thomas continues and enriches the same tradition of common sense. Not only is this “common sense” common because everyone has it, I think it’s sense in a radically important way. This sense is what we use to see what is really out there (it’s where we get ideas like “in there” and “out there” in the first place). Everything else is a limiting specialization that lets us perform some mental task and, in my rasher moments, I tend to think that what can’t be understood with common sense is nearly useless to everyone. Scientists and engineers, using esoteric language and experiments, may be able to produce new technology and perhaps open up new areas of inquiry. But, if any of the thought they produce is going to be any good to anyone as a human being (including the engineer or scientist) then it has to be common-sensible. There is a quote that has been attributed to Albert Einstein to the effect that you don’t really understand something until you can explain it to your grandmother. This is because your grandmother is a common-sensical philosopher like everyone else, whereas certain kinds of mathematicians have made their minds into thinking machines; materials go in, products come out. But, just because you can do math doesn't mean you know jack-diddly. It’s common sense that allows us to make contact with the reality and the truth of any of it. This week was pretty busy, filled with things besides writing. But, I did get a little bit of time in. 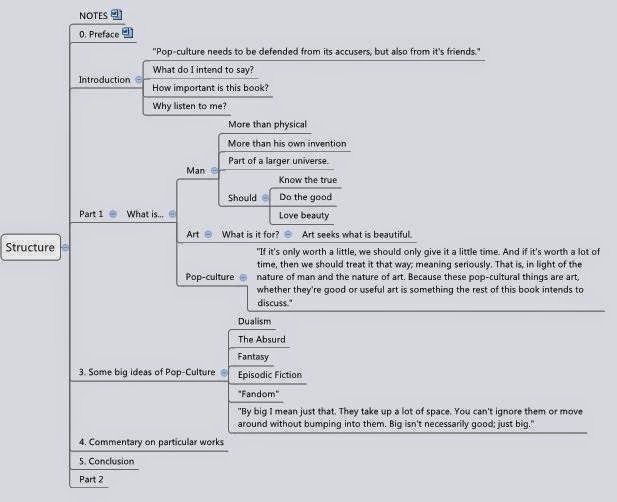 I spent it working on the structural outline of the book (plus a little outlining of the content on a broad scale) and I think it’s coming together pretty well. I've also decided on a first wave of reading. I plan to finish collecting references concerning “Art” and “Beauty” from both Aristotle and St. Thomas Aquinas (see the above on why I chose these two). Then, after I've read that material and given it a think, I’ll move on to John Gardener’s The Art of Fiction and Coomaraswamy’s Christian and Oriental Philosophy of Art. Coomaraswamy and Gardener are much more modern, and I hope that reading them will give me some insight into how the trends in thinking about art and beauty have changed (or how the goal of making art has changed maybe). I have a sneaking suspicion that Gardener approves of some things that Aristotle would call plain old unfinished or incoherent. I’m thinking that these four authors will provide more or less comprehensive book ends, with all the other potential reference material coming from (or fleeing from) the classical thinkers and informing (or being critiqued by) the modern fellows. But I guess we’ll see.